One of the world’s most widely printed and quoted statements of ethics is The 4-Way Test. Created in 1932 by Rotarian Herbert J. Taylor and adopted by Rotary in 1943, The 4-Way Test has been translated into more than a hundred languages and published in thousands of ways. 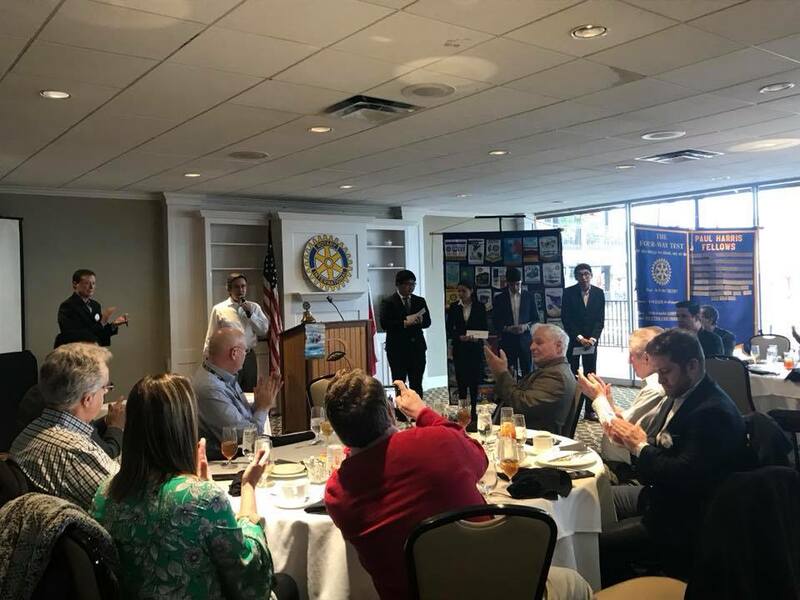 This week's CFB Rotary featured The 4-Way Test Contest. Four outstanding speakers came from CFBISD high schools (Creekview, Newman Smith, Ranchview, and R.L. Turner) to present speeches today. The names in order are Elizabela Hernandez, Creekview, Hoewon Huh, Newman Smith, Joshua Straup, Ranchview, and Edger Avila’ Mendoza, RL Turner, who was the winner. They were all outstanding! Well done, students!